Question a million dollars, what are the most common mistakes to avoid on-page optimization? The SEO is not an exact science, but a sum of empirical knowledge that feeds continuous tests, adjustments, and tests. Besides the Google algorithm, it is a patented technology and is its biggest competitive advantage. Here, however, a few things to do absolutely and on which all agree SEO specialist. The title tag contains text that will be shown as the title in the SERP and in the top bar of the browser. If your site has the same title for each page, you know that you can never climb the Google results. Remember that the title should say something about the content of the page and, of course, contain the keyword strategy for your website. Each search engine has its length limit, after which the title is truncated. Why miss important information that could induce the user to click on the page? Many SEO specialists advised to remain within the 70 characters, but the search engines consider the pixels, not characters for the stable where to cut. So better to be inside the 65 characters per beings are sure to see not cut your title at the climax. If you use WordPress installed Yoast SEO plugin: allows you to get a preview of the meta tag in the SERP. The meta description is a decisive factor for the SEO ranking, but it is a powerful lever to increase CTR. A captivating and informative description may make the difference between a website and another and push the user to click. Then write meta description attractive in a simple and direct language and enter the keyword important beginning. The length of the description is as important as the length of the title. Try to keep within the 150 to 160 characters to be sure not to run into the cleaver Google. A good hierarchy of the page is crucial both for the organization of information for positioning SEO. The H1 tag is the header of the page, he tells the search engine the subject of the page. So we have to be concise, but comprehensive. It sounds easy, but it is not. What do you have against titles, subtitles, paragraph titles and the like? They are essential for legibility because they break the monotony of the text, but also for the search engines so that they can weigh the importance of the information. Then enter the keyword strategy and their own synonyms in several titles formatting them with tags ranging H2 – H6. The job of an SEO specialist is also to prioritize information. Among the duties of the SEO specialist is to scan the site far and wide in search of broken links. “Error page not found” is not just a frustration for the user, but also a big mistake SEO. When there is a 404 spider which scans the site idles. Too many errors like that convince Google that your site does not offer a good browsing experience. Clearly do not fit voluntarily blind links. But since everything changes, and the web even more, it often happens that the page to which the pointing link is moved or deleted. 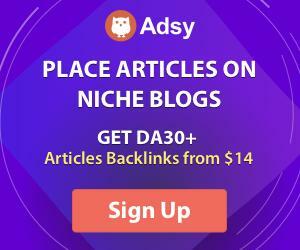 In a situation like this you have to point to the new link to the correct page and prepare a nice 301 redirect from the page that no longer exists to the correct page. And that’s it. As can be seen very often it rhymes with usability optimization SEO. You have spent time and money to develop the site, treat the design, improve usability, optimize pages for search engines, but you have content sloppy made of stereotyped formulas and obnoxious jargon company. The classic mountain that gives birth to a mouse. Care over all the content: “Content is the king”. Even more after Google Panda and Knowledge Graph. Yes, search engine crawlers are so hungry for content that Scan will scan your site even if you have an XML sitemap to the root of the site. But why not facilitate their work and ensure that every page of the site is seen by the spider? There are many online tools to create XML sitemap like this in a few minutes. Your site splits: the graphics are appealing, the contents are full of appeal, the browsing experience is rewarding, everything is easy and intuitive, and no time is wasted. And what do you do? Forget to serve your users on a silver platter the opportunity to share this discovery with the world? Enter now the buttons for sharing content on social.